It’s hard to believe but the High School Football playoffs have arrived and begin this week. They come after an exciting Week 10 that once again saw many huge efforts. 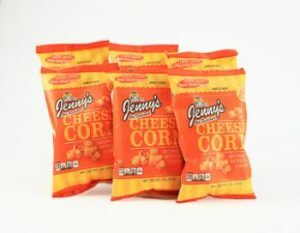 It’s time for the Jenny’s Old-Fashioned Popcorn Player of the Week ballot. As always, only 1 vote per day per IP address will be counted. The polls close at 10pm on Tuesday night so make sure to get your vote in before then. You can vote by leaving the players name you think should win in the comment section below. Good luck to all the players nominated. Medina QB Ryan Fischer: 309 yards passing with 3 touchdowns. Olmsted Falls QB Teddy Grendzynski: 227 yards passing, 5 touchdowns, 121 yards rushing and 1 touchdown. Including a 99 yards TD run. Avon RB Nick Perusek: 280 rushing yards with 4 touchdowns. Berea-Midpark QB Trevor Bycznski: 420 yards passing with 6 touchdowns. Kenston RB Jack Porter: 193 yards and 2 touchdowns. Fur family of 5 ?